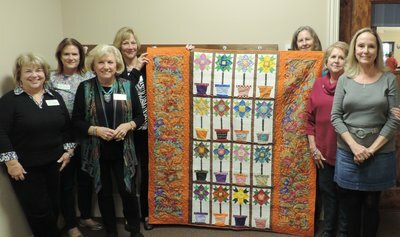 The Raffle Quilt Committee members make a quilt for the annual Lawn and Garden Show. 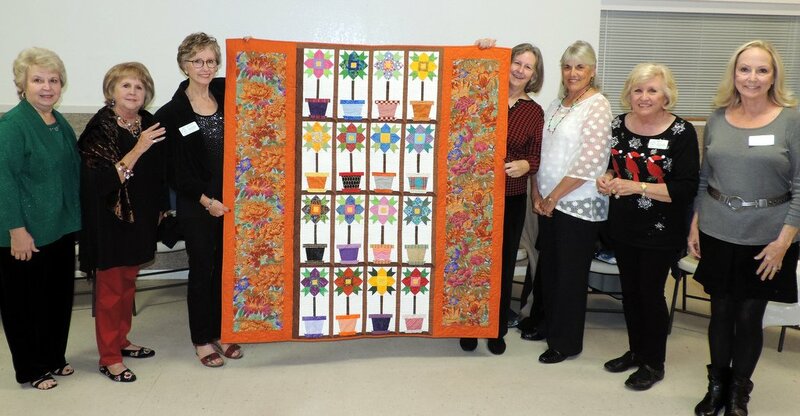 The quilt is raffled during the show along with other donation items. Each spring the committee begins planning a quilt for the following March show. Monthly meetings include pattern and fabric selection, decision on sewing technique, and finally putting it all together. The quilt blocks are sewn at home by each member and then assembled at group meetings. 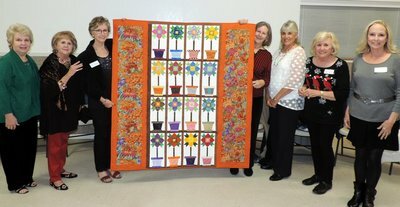 Quilts are usually machine pieced and embellished with hand-applique and embroidery, then machine quilted.